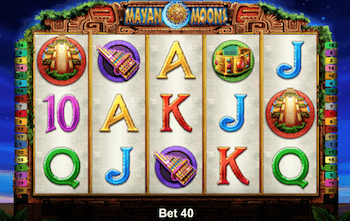 Many companies creating pokie games for the brick & mortar casino environment have started to tap the global market by duplicating their games by ones playable online. 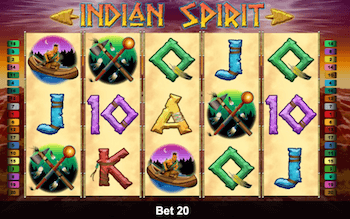 Novomatic is one such company. 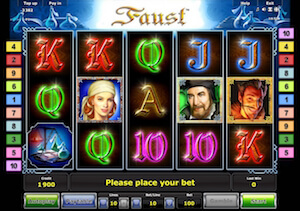 They are mainly known in the European markets and dominate the German, Austrian and Swiss land based casino floors with their games. 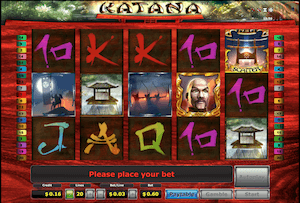 It’s been a while since they have taken their games into the online environment and have had pretty decent success. 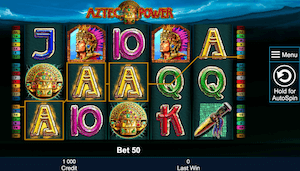 Even though the number of casinos carrying their products are nowhere near as high as NetEnt’s or MicroGaming’s, it’s still fairly reasonable. 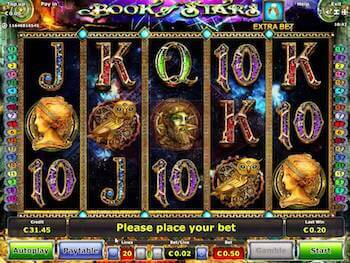 Lets take a look at 5 of their most popular games. 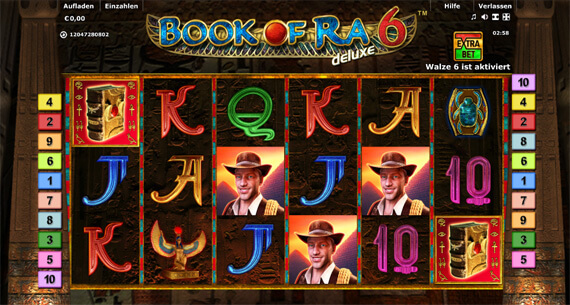 Book of Ra – best known pokie in Novomatic’s portfolio and one that made them really well known across Europe. 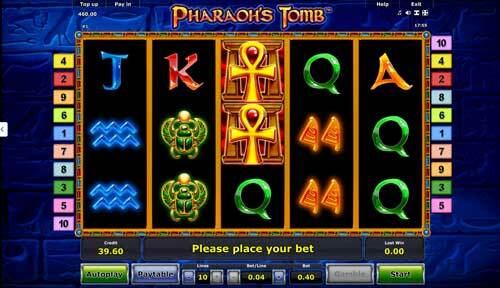 It’s a rather simple Egyptian theme featuring game with 5 reels and 9 pay-lines to play on. 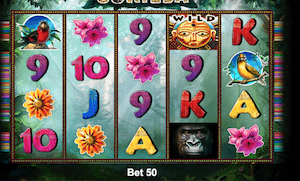 The key to winning big playing this game is to trigger free spins. 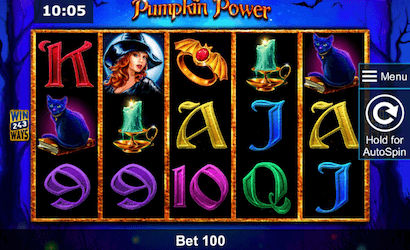 It’s done whenever 3 or more book symbols appear on the screen. 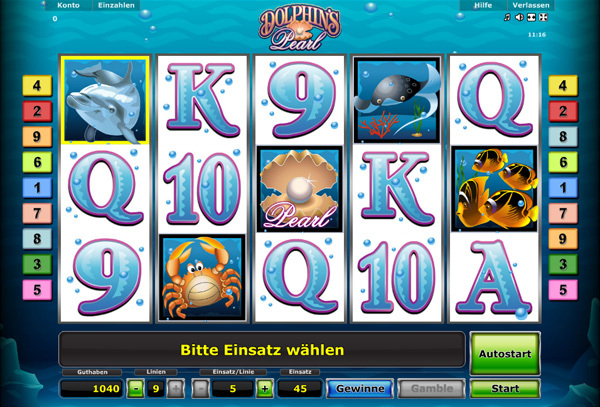 Dolphins Pearl – one of the oldest games in the portfolio of Novomatic. 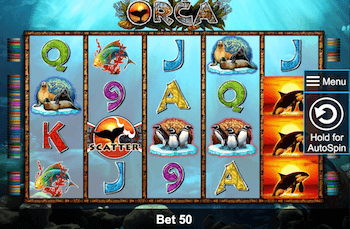 It features a classic look and a cute sea animal theme. 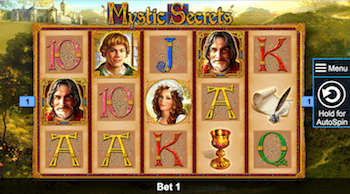 Features wise there’s nothing particularly impressive by todays online pokie standards, but it does have a 15 free spins offering and all winnings during these rounds are multiplied by x3. 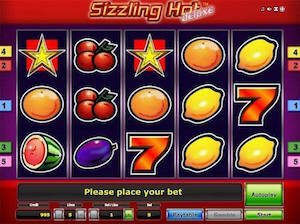 Sizzling Hot – simplest pokie machine in their portfolio, but one of the most successful ones. 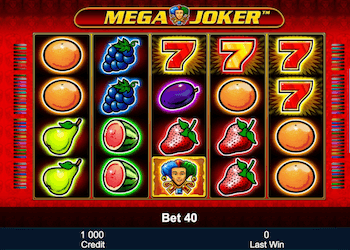 It’s a 5 pay-line fruit machine with scatter symbols and a gamble feature as the only two additional features available. 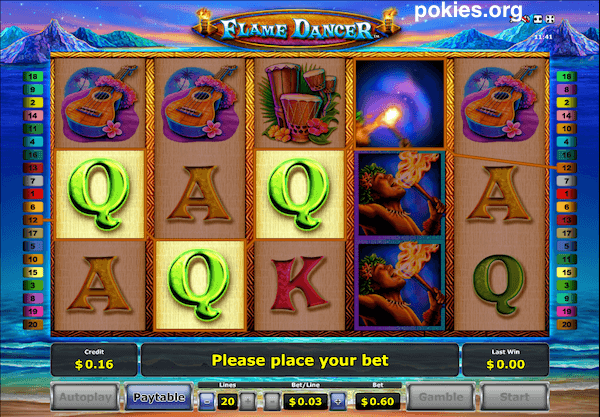 Flame Dancer – pokie game that we like most out of the whole Novomatic’s portfolio. 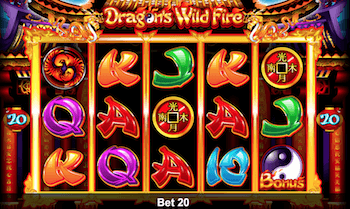 The main reason for that is a very lucrative free spins feature, where any wild symbols that appear on the reels will stick in their position, but also expand to cover the whole reel. 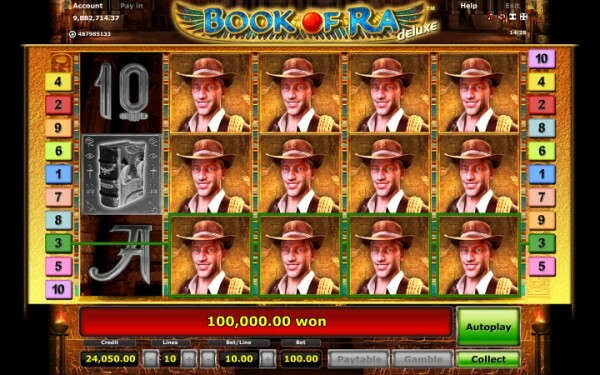 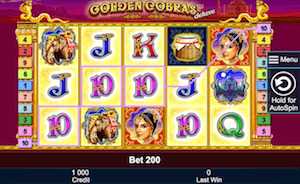 This is how some very lucrative wins can be made, similarly as in NetEnt’s Dead or Alive pokie. 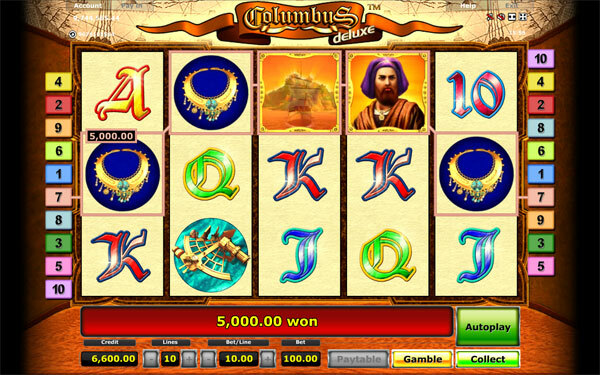 Columbus – themed after the man who discovered America (at least that’s what history books tell us), Columbus is a simple 9 pay-line video pokie with wild symbols, free spins and a gamble feature. 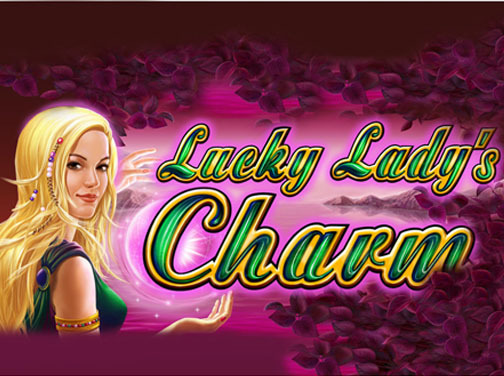 Lucky Lady’s Charm – another pokie that’s part of Novomatic’s line of games known as Gaminator. 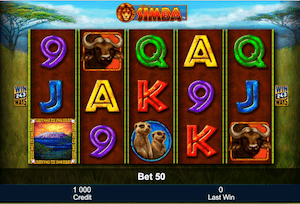 It’s a simple gaming machine with 9 lines to play on, a gamble feature and free spins. 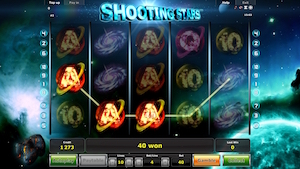 Trigger these when 3 or more scatter symbols appear on the reels and You’ll receive 15 free rounds with a x3 multiplier on all wins. 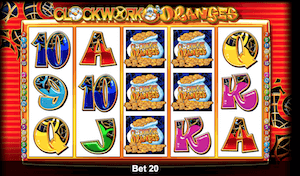 GreenTube, which is a subsidiary of Novomatic and handles the online integration of their pokie games, has not extensively worked on following the trend of recreating their games into ones that are compatible with mobile devices. 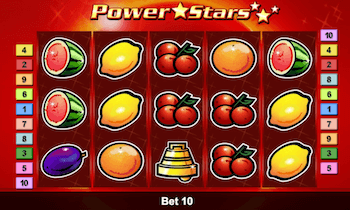 Having that said, we are aware of one casino offering a few of their games for users of iPhone, iPad and Android devices and that brand is StarGames Casino. 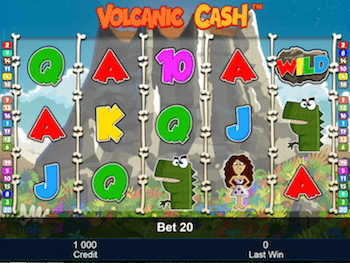 They do accept players from Australia and New Zealand, but unfortunately You can’t play in Australian of New Zealander dollars. 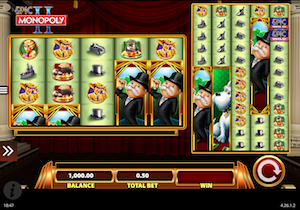 How Does Novomatic Stack Up Against Other Providers? 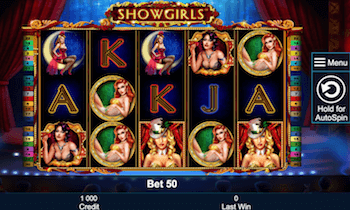 This will be a subjective opinion of ours, but we feel that games provided by Novomatic’s subsidiary, known as GreenTube, are very outdated compared to some of the online-only companies like Net Entertainment and MicroGaming. 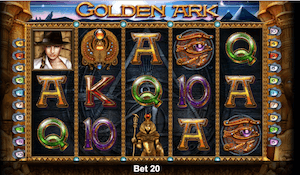 There aren’t many innovative features in them and the general return to players is also low compared to pokies created by the aforementioned two companies. 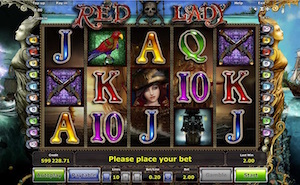 The player or fan base of their games consists of players who love the classical pokies. 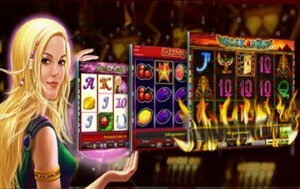 If You are fine giving up any unique features and play very basic pokie machines, Novomatic might be for You. 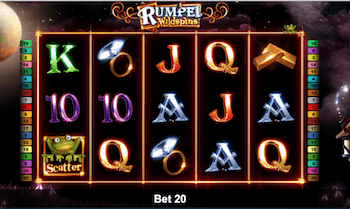 If that’s not the case, we definitely suggest looking elsewhere.